The AMN Shape Tool – visualize and share your shapes. The Living Atlas – an interactive thematic atlas focused on the changing geography of a place, over time. Aboriginal Maps – Other – made of Aboriginal peoples: historical maps, collections of maps, government maps, overview maps, etc. 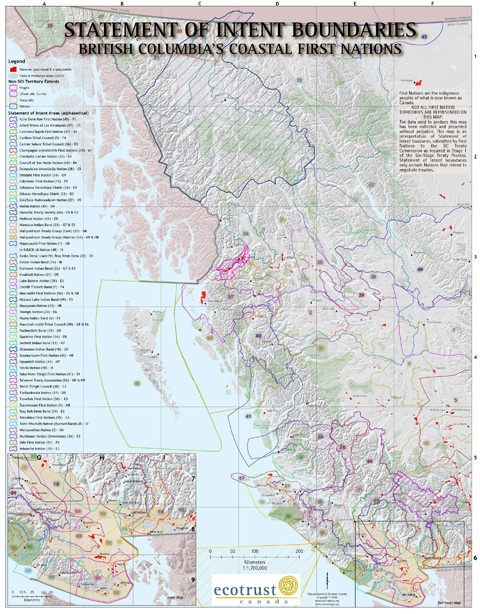 Stó:lô-Coast Salish Historical Atlas – recently updated! Boundary Chaos! 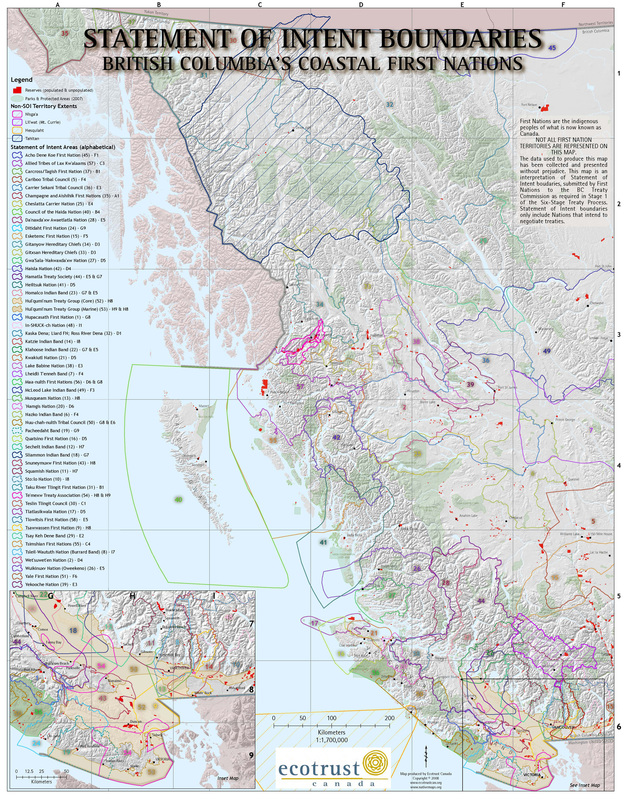 This map illustrates the First Nation Statement of Intent boundaries on the coast of B.C. Such images provide an interesting insight into the interface between western mapping ideas on one hand, and the complexity of aboriginal land use on the other. Created by Ecotrust Canada.